Cut live, direct-to-disc at BERNIE GRUNDMAN’s studio, this 2xLP 180gm 45rpm pressed at RTI, comes in a sumptuous package with a 16 page booklet with lyrics and essay. The whole completely analogue recording process is designed to give you the most perfect analogue experience. Stricly Limited Edition of 3000 hand numbered copies. I have always loved the immediacy and sound of direct-to-disc albums - with musicians performing ‘live’ and directly cut to lacquer - some of the best sound like you are right there in the studio. Some of the best of these D2D recordings – “For Duke” on M&K Realtime Records, the Harry James big band albums on Sheffield Labs and “Moonlight Serenade” by Ray Brown and Laurindo Almeida on Jeton, for example – were made in the 1970's and 80's and are rare today and extremely expensive if you can find one. D2D albums are necessarily extremely limited because there can only be one lacquer made and used-up for production. When I'm looking at albums to buy, I'm always watching out for the name "Bernie Grundman" on the mastering credits. Some of the most musical and best sounding albums we demo have “BG” or even better yet, Bernie’s full signature in the deadwax. Being focused on the music, Bernie has consistently mastered some of the greatest music published. Bringing one of my favourite musicians – Anne Bisson – into Bernie Grundman’s lacquer cutting studio in Hollywood, mix-in the recording genius of Michael Ross and we have my music-phile's dream come true. Genesis is very honored to be a sponsor of this project. The Direct-to-Disc vinyl and potentially a Direct-to-2track reel-to-reel tape is being released under the Brilliance Music & Studios label. 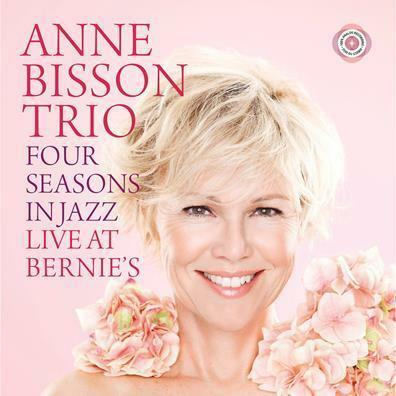 We recorded Four Seasons in Jazz: The Anne Bisson Trio Live at Bernie's over the weekend March 4 & 5, 2017. . The thing with a direct-to-disc recording is that the musicians have to be where a lathe is. In this case, Bernie Grundman's mastering studio. Unfortunately, Bernie's is a mastering studio, not a recording studio. So before anything can be done, we had to first build a recording studio. Microphones, mic preamps, and a mixing console had to be rented. Instruments had to be acquired - in this case, Bernie called up Steinway of Los Angeles and their response was "Sure, we have three you could choose from."